The sea can be reached by car in fifteen minutes. Nearby are Finale Ligure's practice walls, historical sites like Finalborgo, Noli, Albenga and the Toirano caves. Wonderful Genoa with its artistic treasures and Piedmont's Langhe, famous for their great wines, are just an hour away. A very simple house, in a rural village, offering beautiful sights, scents and colours of the Ligurian countryside. Rich in olive trees, vegetable gardens and flowers. 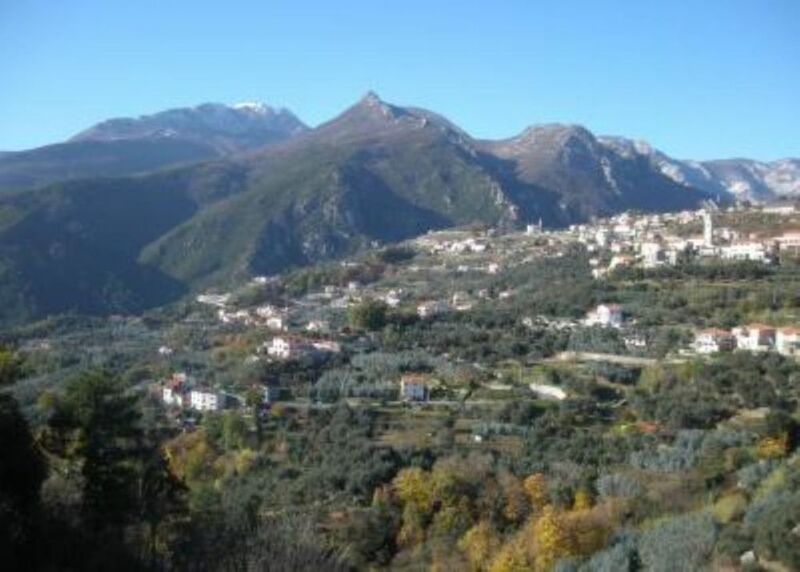 Facing the blue sea and backed by the mountains, with fragrant pine-trees and beech forests. The right place to stop and rest, and visit the sorrounding area. The little cottage is perfectly situated to explore both the sea and the mountains. The cottage is quaint and comes with a lovely garden. The bedroom windows overlook Magliolo and the sea. Alice is a wonderful host and made our stay, with a baby and a toddler, very comfortable. We enjoyed the produce from Alice’s garden and cooked some nice meals during our stay. There are plenty of good, and child friendly, restaurants nearby. "I was absolutely delighted with my stay there. It was the first time when i got more than I expected. The house was prepared perfectly, everything was absolutely clean and ready to use. I didn't have to worry about anything, because I could always count on the owners help. The surrounding was like nowhere else on earth - a place with individual character, beautiful flora and fauna, and wonderful, kind people! My piece of advice for future renters: stay there as long as possible! I stayed only one week and it was definitely not enough for me. And you should try the olive oil they produce in Magliolo"
Wir hatten einen schöne Zeit in Magliolo. Alice ist eine sehr nette Gastgeber in, die uns mit ihrem leckeren Olivenöl und viel Gemüse verwöhnt hat. Es ist einfach und naturbelassen, für uns hat es gut gepasst! Petit paradis au milieu des eucalyptus et des oliviers , vue superbe sur le village coloré en promontoire, accueil par Alice remarquable, nous vivions sous la tonnelle au milieu des fleurs et des fruitiers. Nous avons beaucoup aimé le côté campagnard de la location et la beauté de l'environnement. Always happy to see you again! Entspannter Urlaub in toller Atmosphäre! In Magliolo, in the little house, there are only special people, and you are among them! I hope to meet you again, you will always find the welcome you deserve!